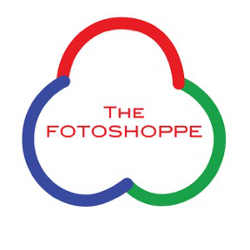 At The FotoShoppe, your satisfaction is 100% guaranteed. If for any reason you are ever dissatisfied with your order, please contact us within 10 days of your print order. We will either provide a replacement of your print order or a full refund. Cameras and lens carry a 30 day return policy. For a replacement order, please contact us with your order number and let us know the specifics of the problem you encountered. For most printing issues we can arrange for your order to be remade automatically at no further charge. If we cannot re-create the order or if a change is needed to the original that only you can make, we will work to share information and guide you through placing a new order. Only orders that were incorrect due to system problems will be reprinted at no charge. To ensure quality, we may request for you to return the order to us so that we can inspect it for improvements in our processing. For a refund, please contact us with the order information and a description of the problem you encountered with the order. If we need you to return the order, we will provide you with return instructions. Shipping charges on the original order will be refunded if the return is necessary due to our error. To return, exchange, or replace a FotoShoppe order that you paid for and picked up at a retail location, please visit the store where you picked up your order. Be sure to bring the product you ordered, receipt, and order confirmation page with you. For orders picked up and paid for in-store, we cannot directly refund or exchange your order online. For returns or refunds for products purchased through on line and picked up at a retail location, please return to the store where you picked up your order.